Having just returned from Asia and meeting up with my Dad who’d also returned from a trip to Mexico meant finding something to eat that would complement our recently travelled tastes rather than overdo it. Peruvian came to mind as it blends flavours and ingredients of both Asian and Latin cuisines. Kay Pacha had already been on my list of must-eat-at places thanks to its convenient locale, my enduring love of Peruvian food and an ongoing campaign to convince my dad to visit Peru. Rocking up straight after work on a Wednesday meant we narrowly beat the dinner reservation crowd and scored us a table. Visible street-side, the restaurant’s branding was clean and modern, yet funky. This was reflected by the décor inside which was juxtaposed by the vibrant and colourful kitchen. There in full view, the open space invites you to watch on as cooks toss meat on the grill while blending aromatic spices and marinades. We started with pisco sours despite my initial hesitation after ordering an overly acidic pisco sour elsewhere just days before. The confidence with which the bartender whipped up the cocktails was instantly reassuring, shaking any lingering concerns. 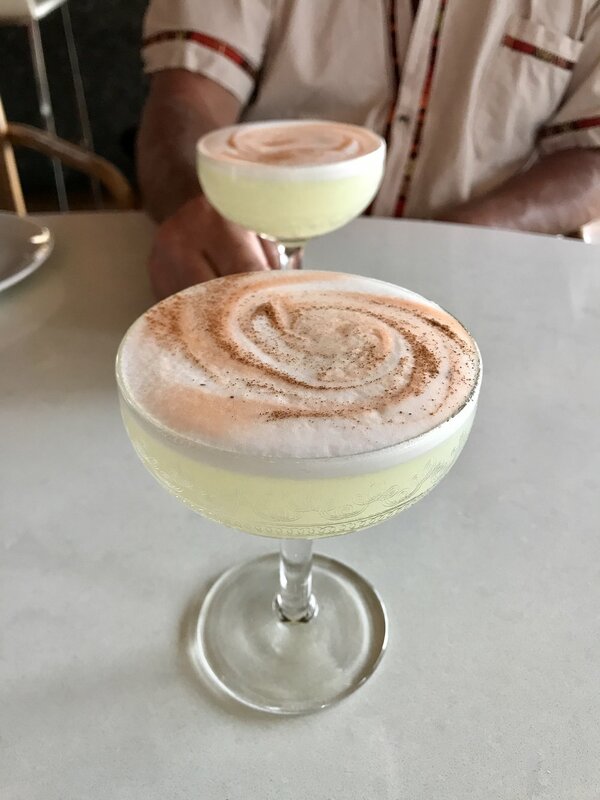 To my delight, I tasted one of the most balanced pisco sours I’ve ever had. The bitters x nutmeg art on the egg-white foam was pure mastery, akin to what you might find on a barista’s latte or proper Vietnamese egg coffee. I’d only be doing myself a disservice dining at a Peruvian restaurant without ordering anticuchos (marinated beef heart skewers). Though I prefer mine sliced into flat morsels, the flavor and texture of the bite-sized, juicy beef heart portions made them taste like the best kebabs you’ve ever had. The thickly cut yuca fritas were a pleasant departure from your standard frites and were crispy on the outside, airy and flakey on the inside, never fibrous, and were served with an accompanying yuzu dipping sauce. Fancying myself a bit of a ceviche connoisseur, this was a natural choice for the main. My dad opted for the classic ceviche mixto, while I was enticed to expand my ceviche horizons and dive into the experimental ceviche de atun, which took a Japanese approach using sashimi tuna chunks with a soy sauce base. 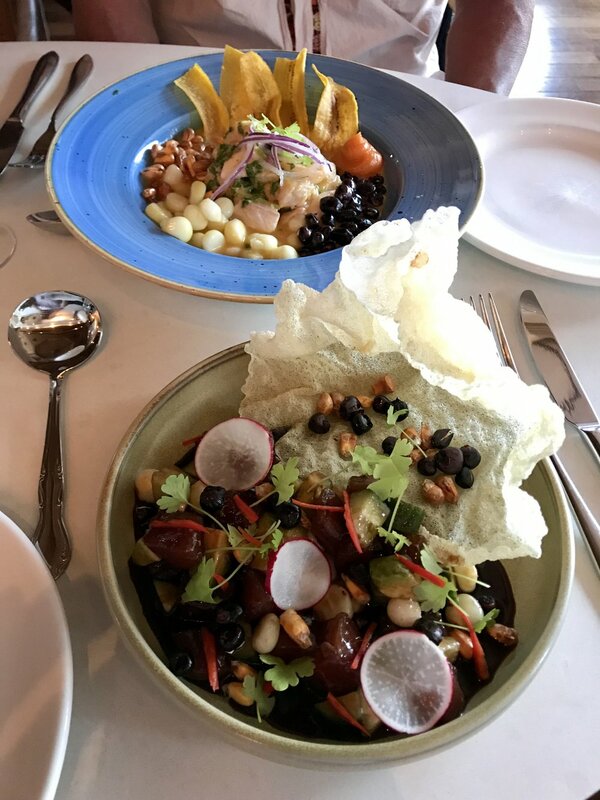 The taste of both lived up to their equally impressive plating; ceviche being one the most presentation-friendly dishes and offering plenty of creative license. Now primed for lime, I didn’t hesitate to shamelessly spoon the unconsumed ‘leche de tigre’ liquid from my dad’s plate. Unfortunately, there wasn’t Peruvian beer (which is quite good) on hand, but I’m aware of the challenges of such a limited supply chain for brews like Cusqueña. Also absent was also your quintessential bowl of cancha – a sort-of Andean corn nut snack offered at most Peruvian restaurants. The availability of these large maiz chulpe kernels in this city never a question. The bill came to $130 (plus tip), which was fair value considering what we ate along with our two pisco cocktails and obligatory beer. Kay Pacha is as authentic as they need to be, while successfully expanding upon the Japanese ‘Nikkei’ fusion elements of one of the world’s best cuisines in new and exciting ways.